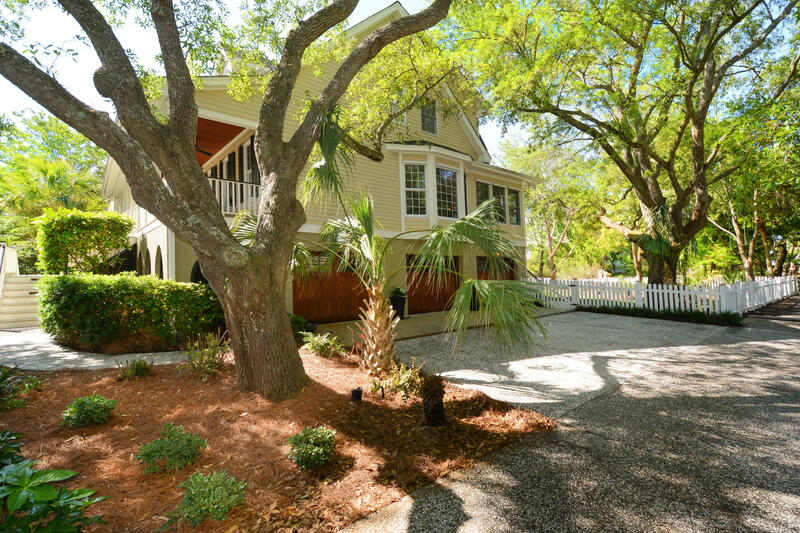 Gorgeous oak trees surround this beautiful Old Village home. 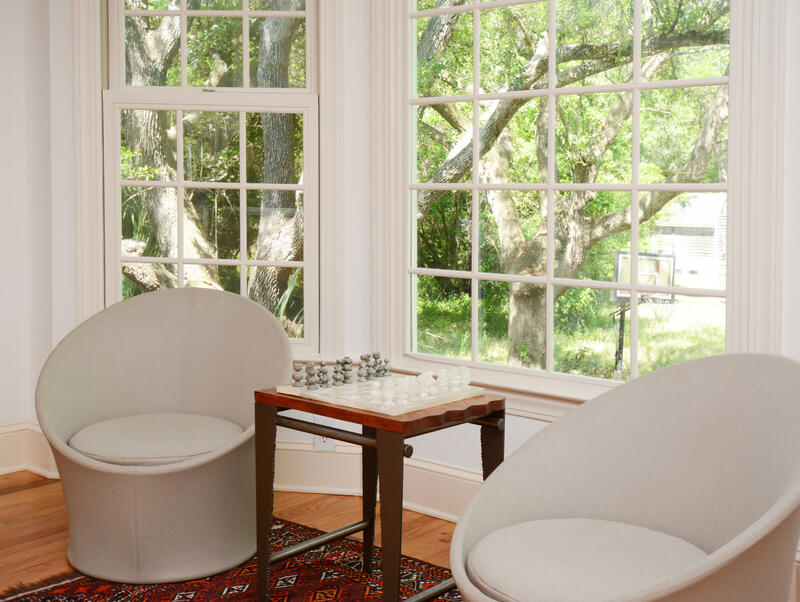 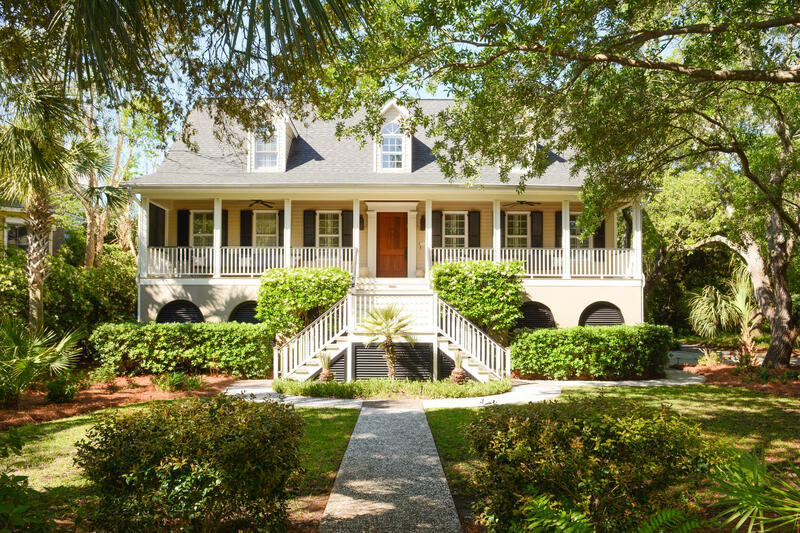 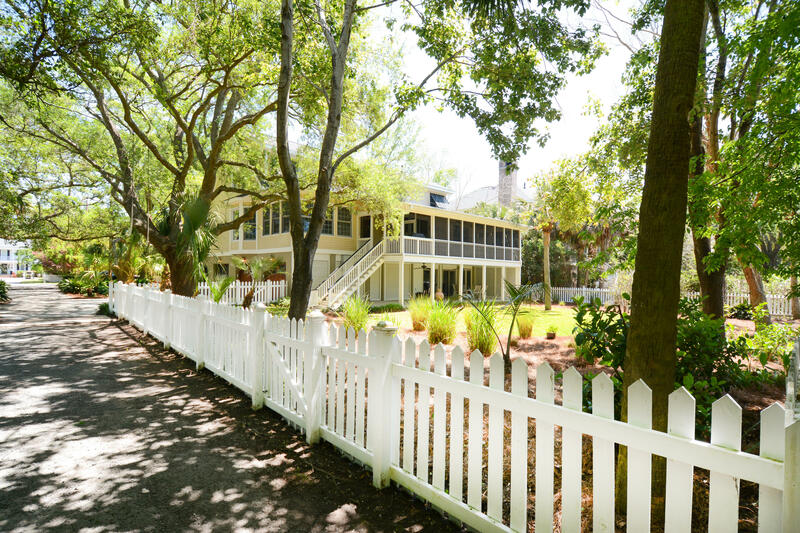 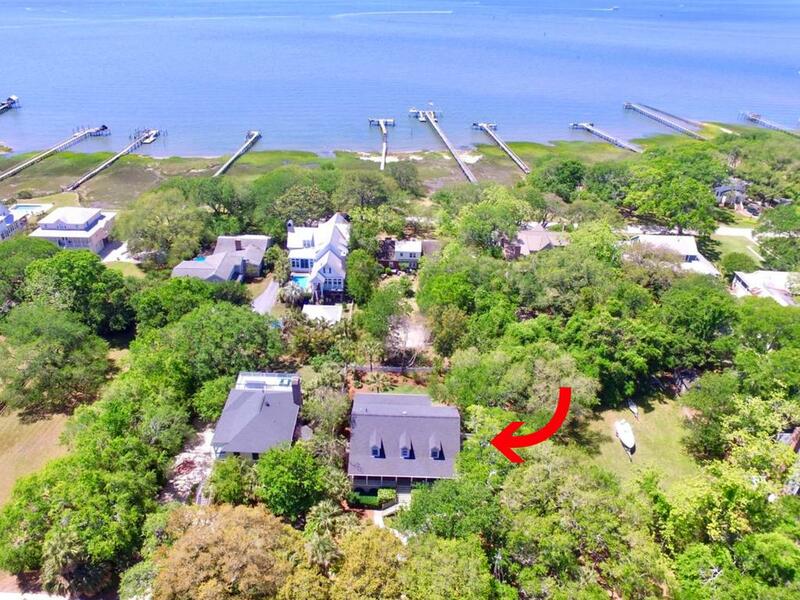 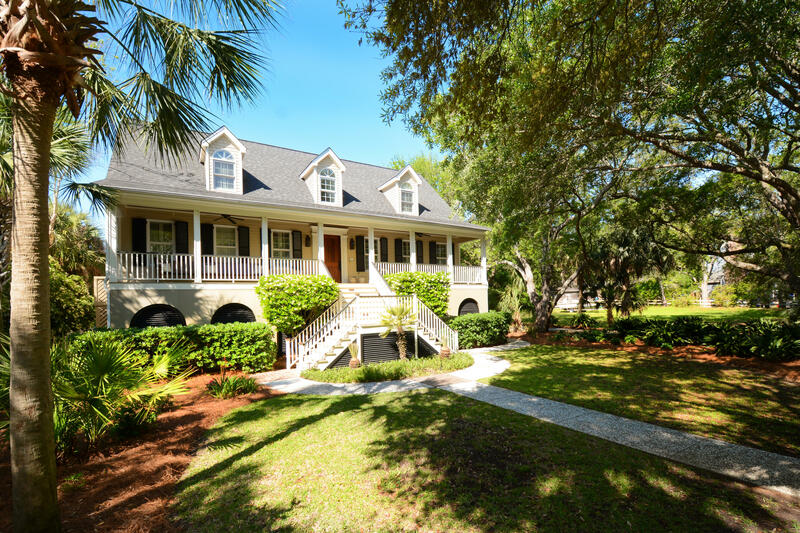 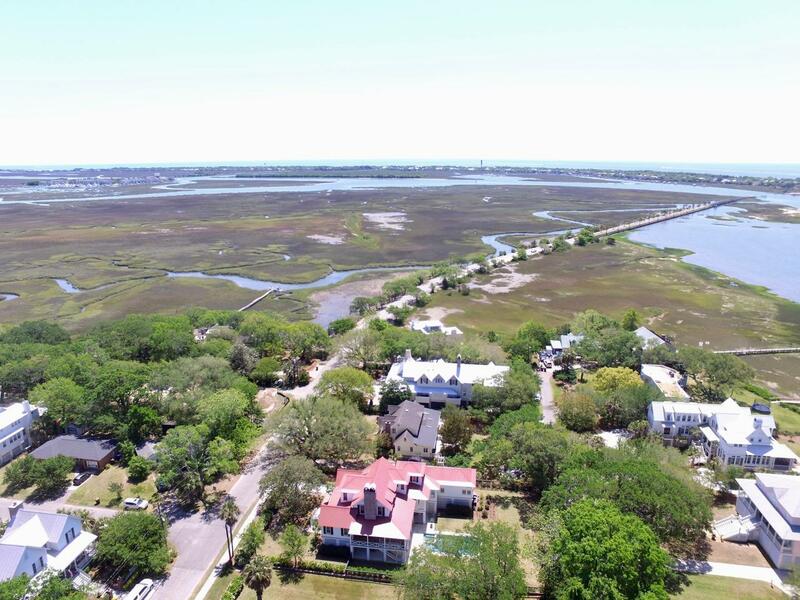 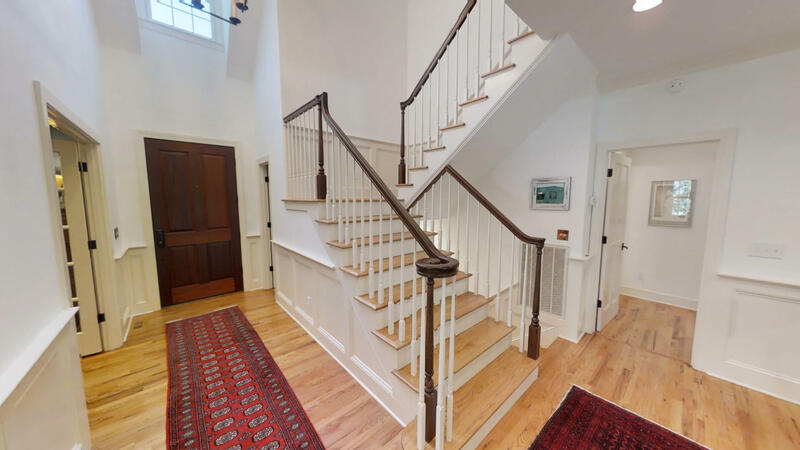 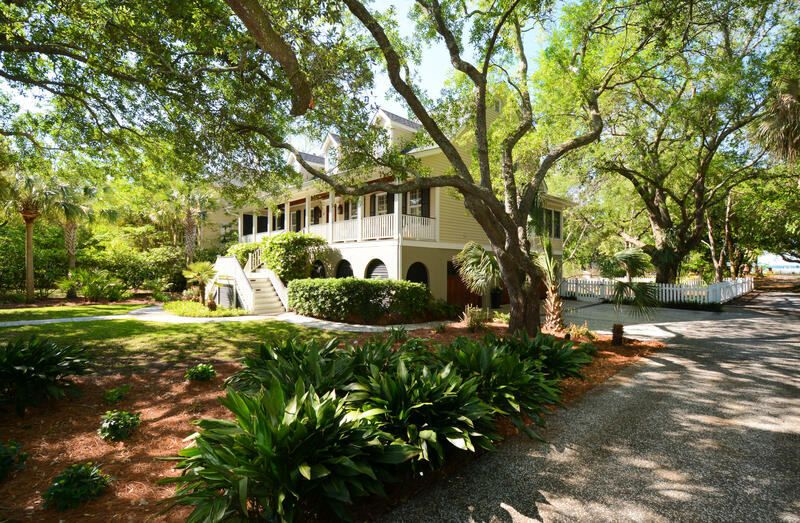 This classic lowcountry home sits on a spacious yet supremely quiet one third acre lot, second row from the entrance to Charleston Harbor. 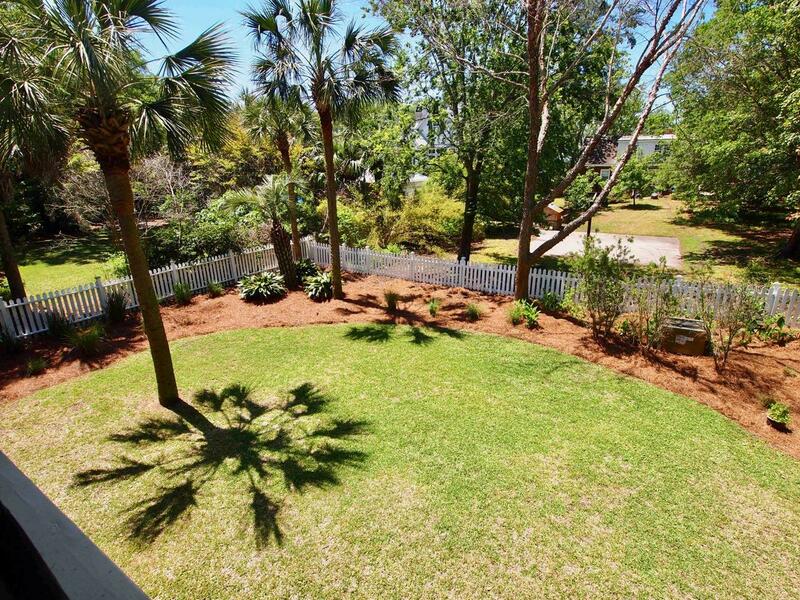 Set back from the street, the home is private and has a deep back yard, perfect for entertaining or family fun. 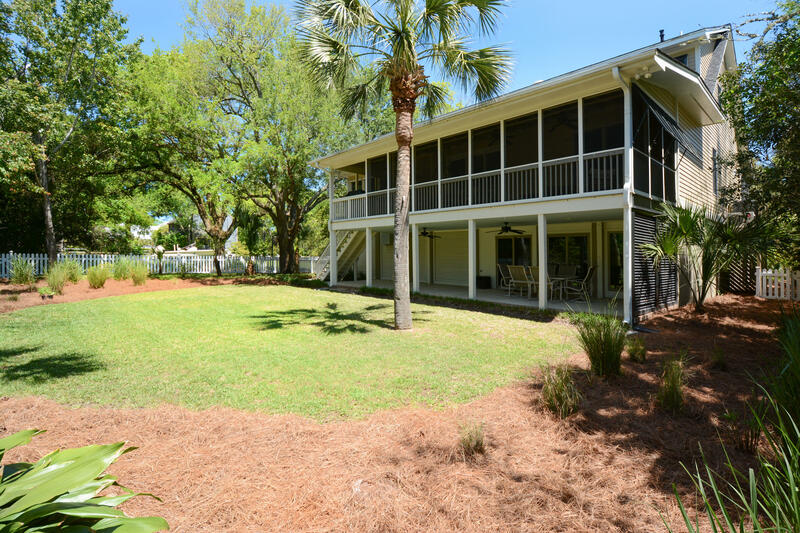 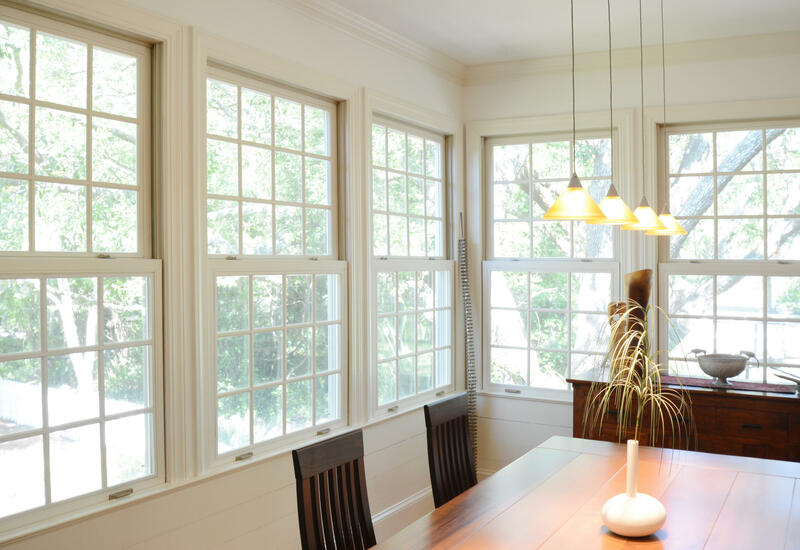 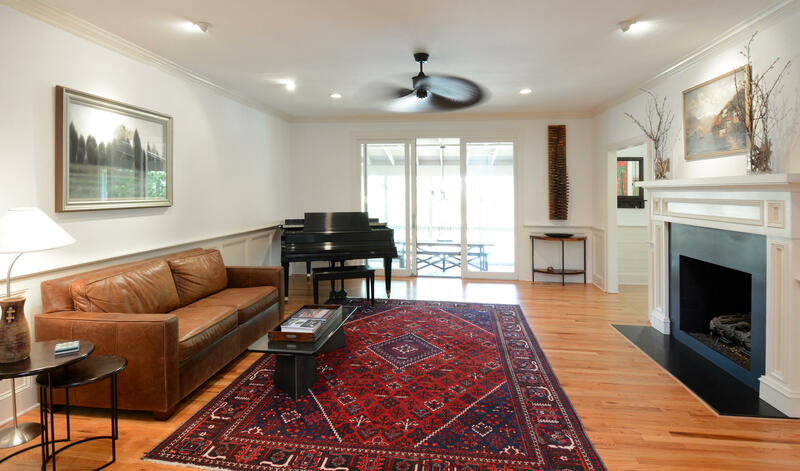 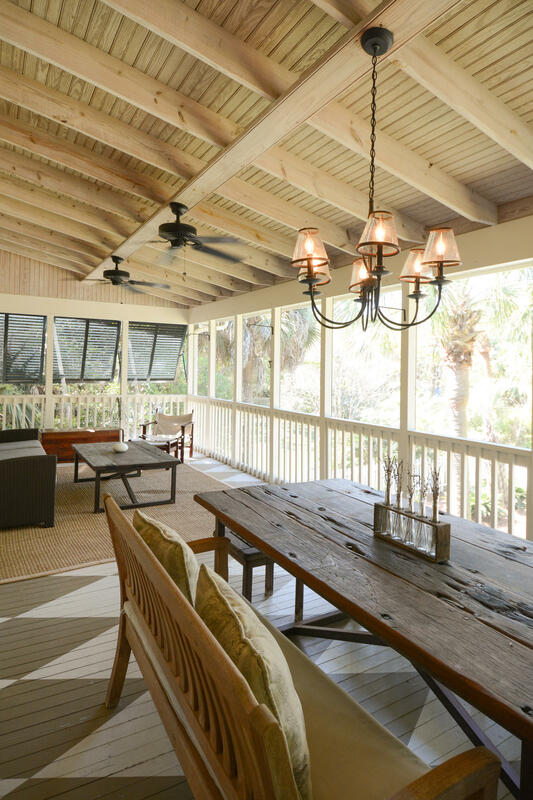 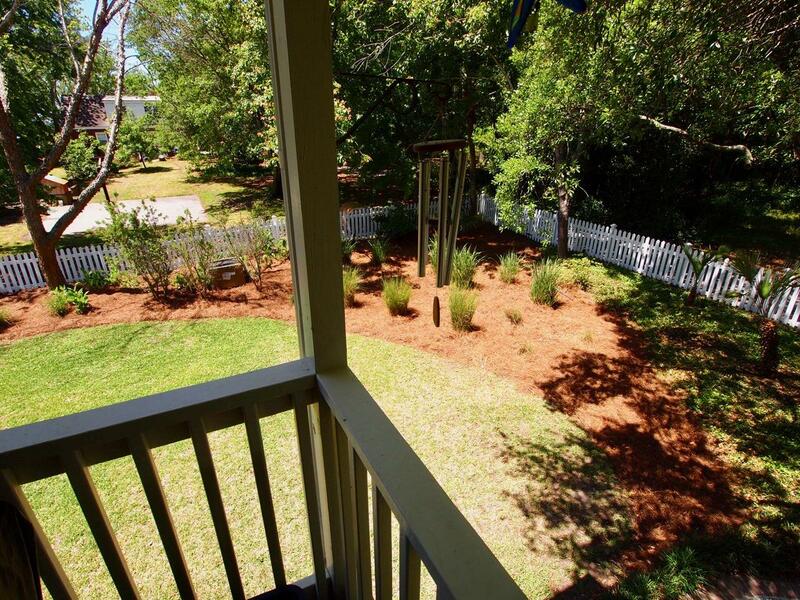 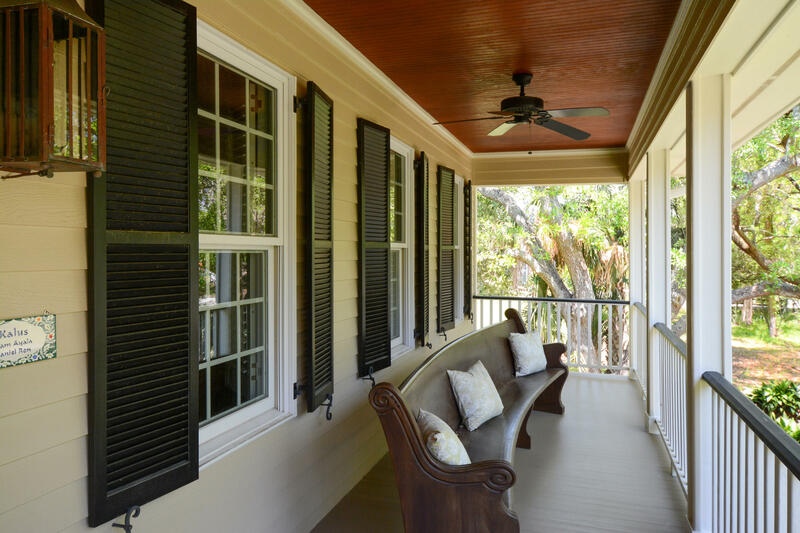 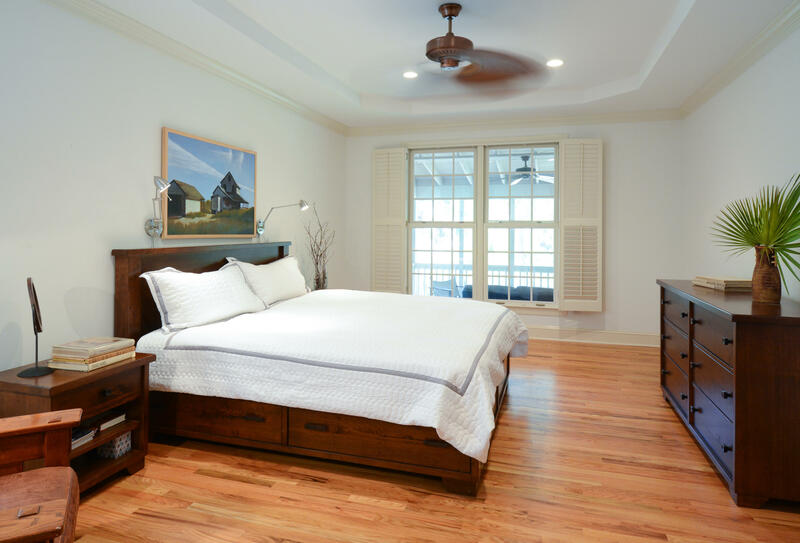 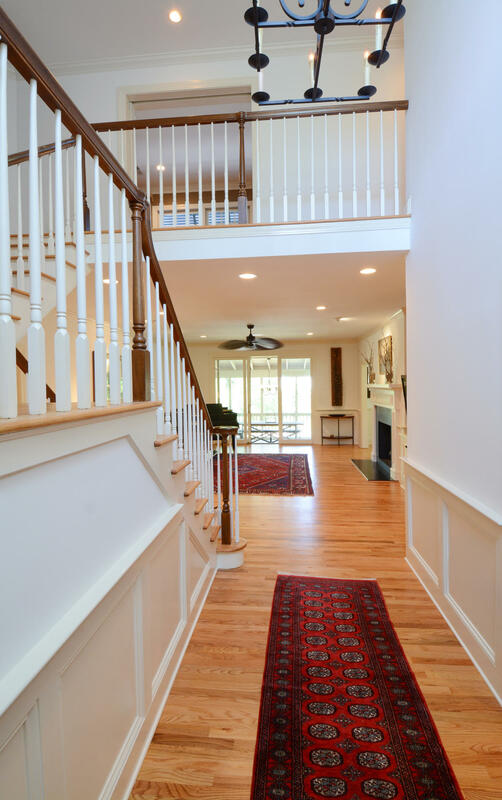 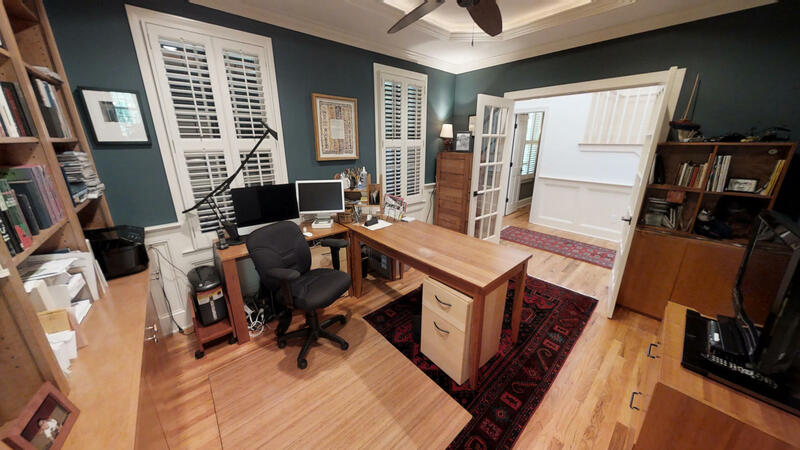 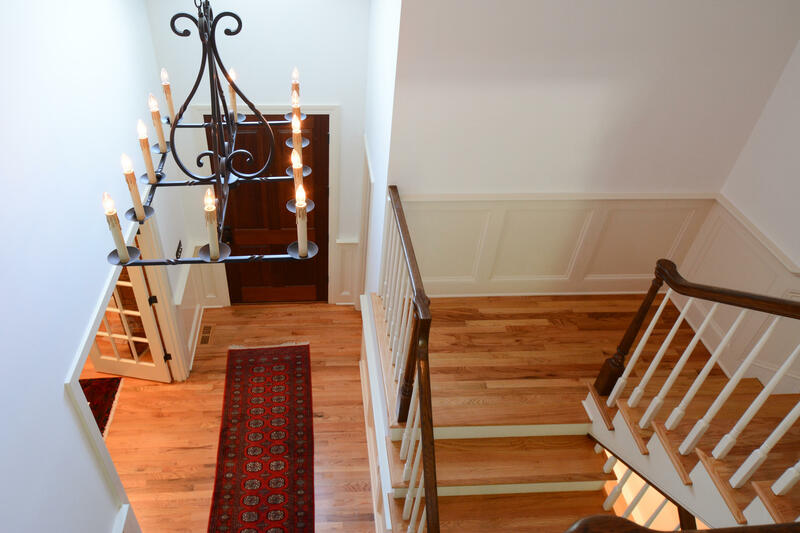 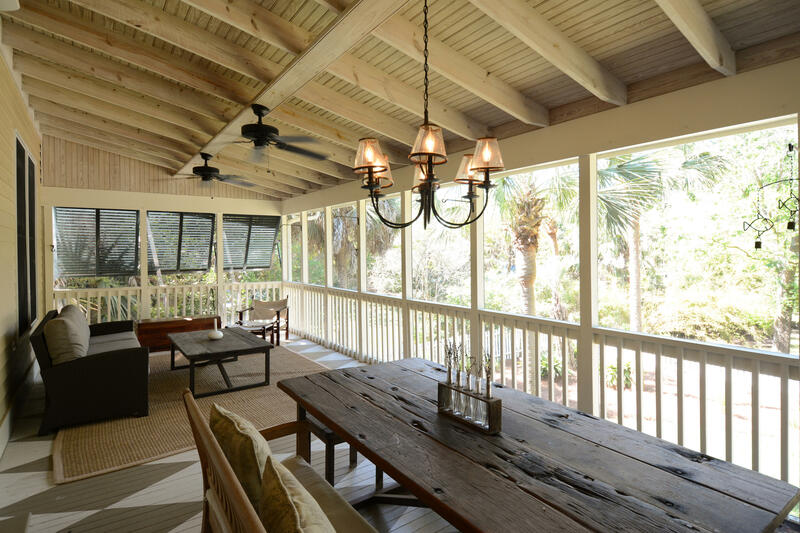 Enjoy harbor breezes from the full front porch or the magnificent screen porch off the family room. 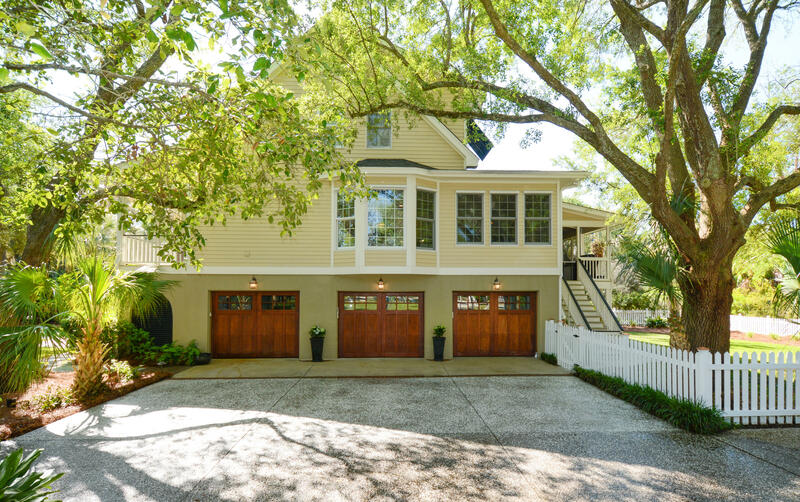 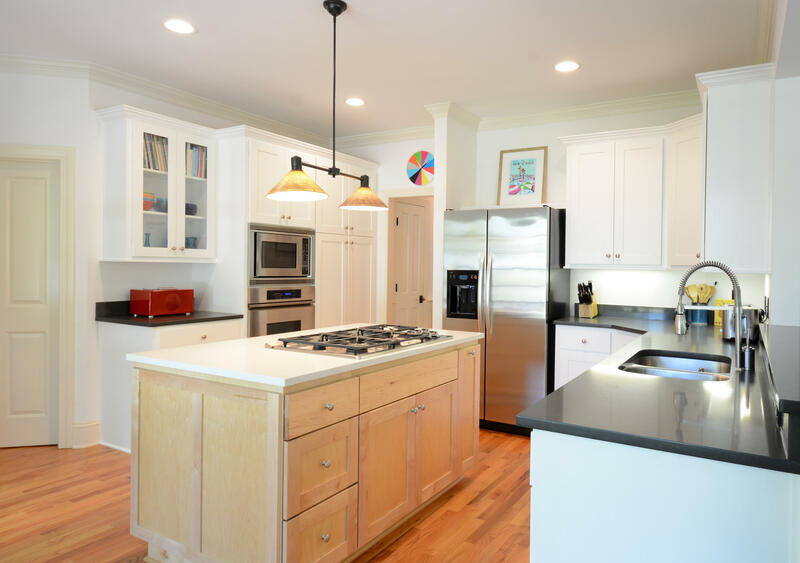 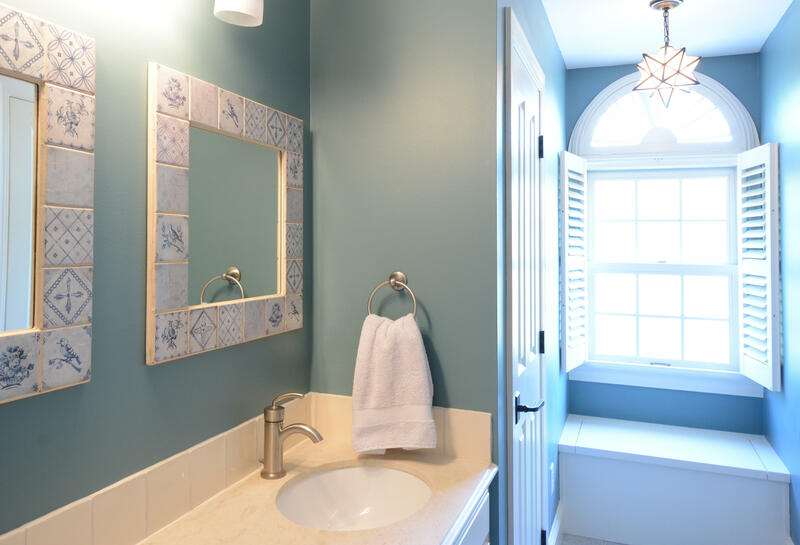 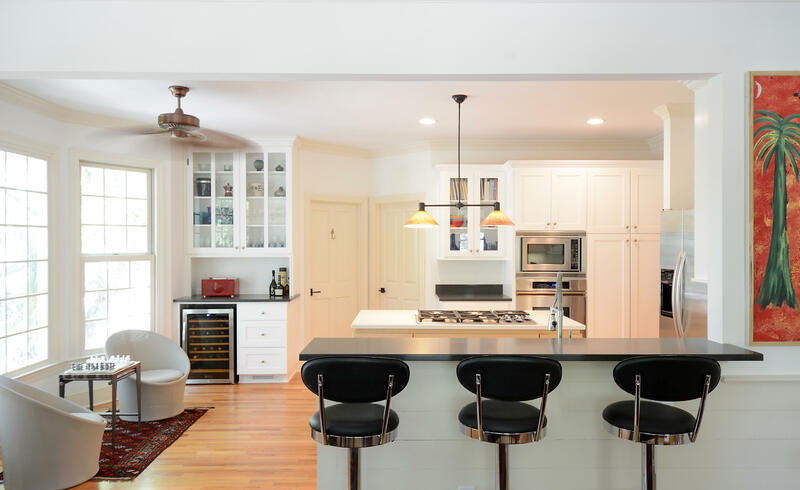 This home has the charm of the Old Village with a beach house feel. 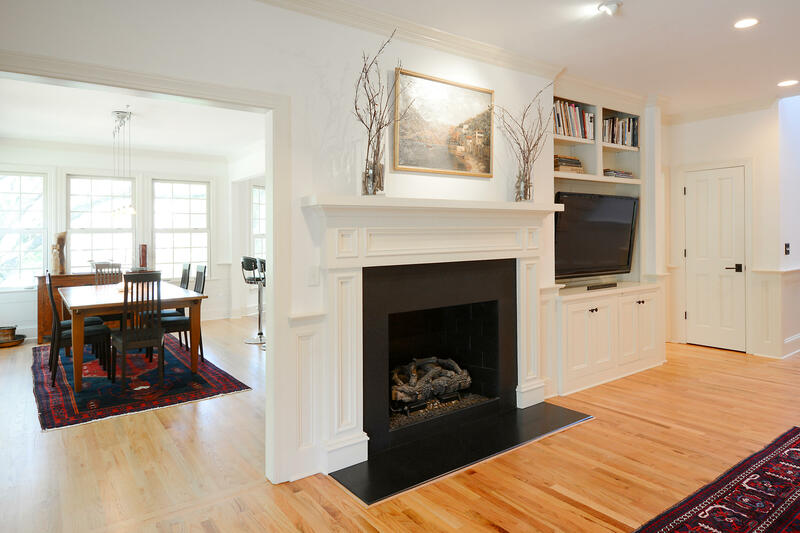 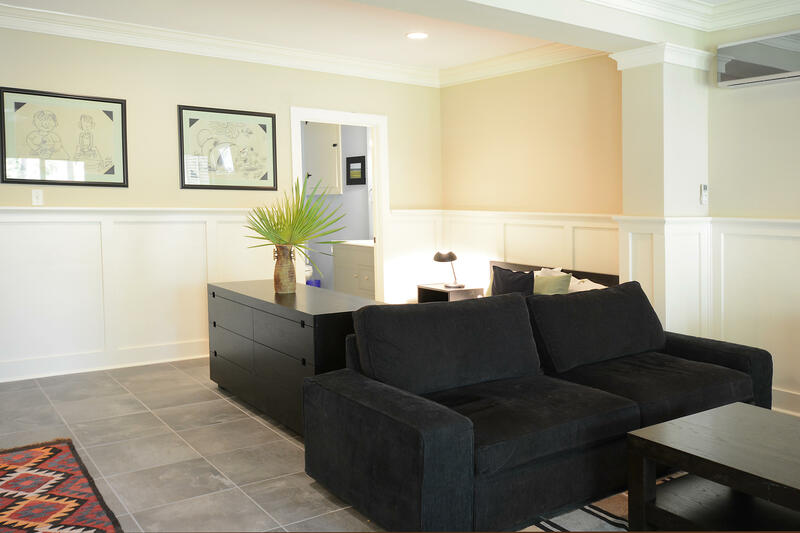 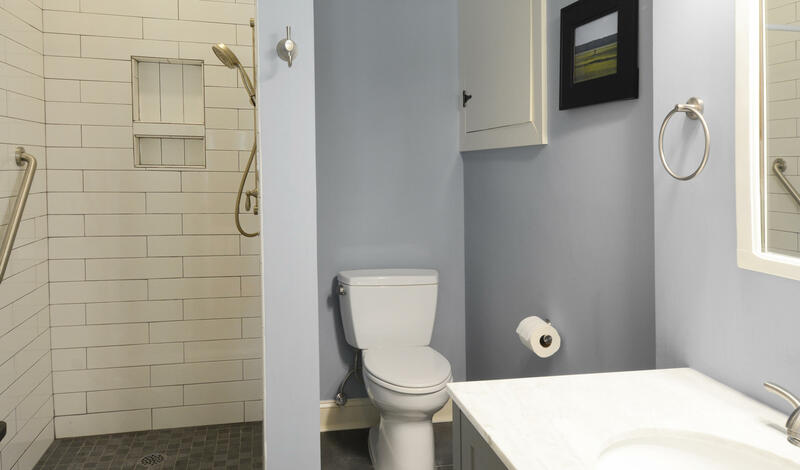 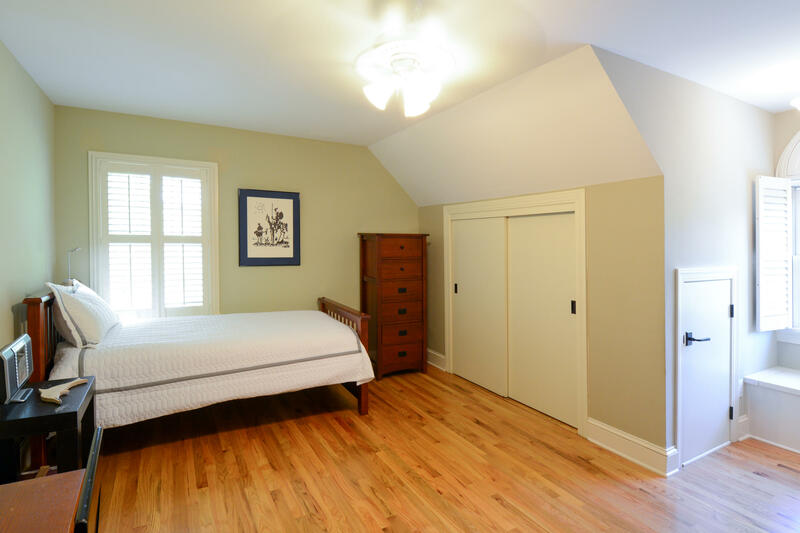 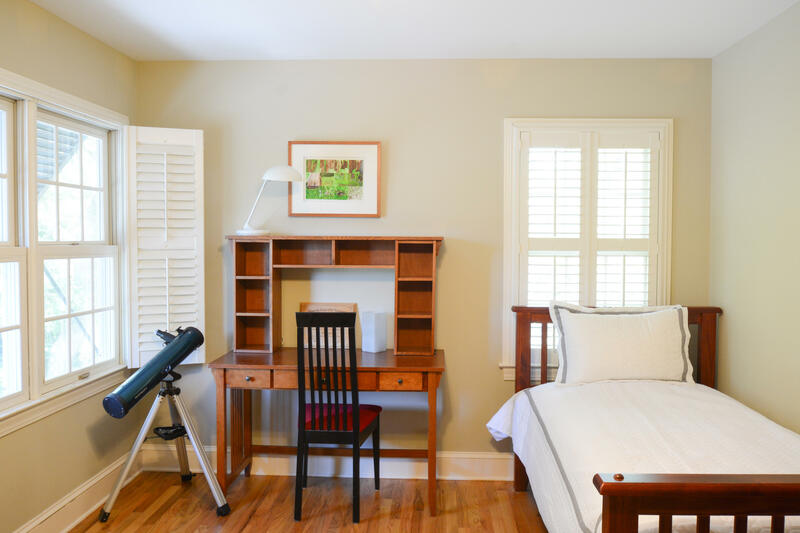 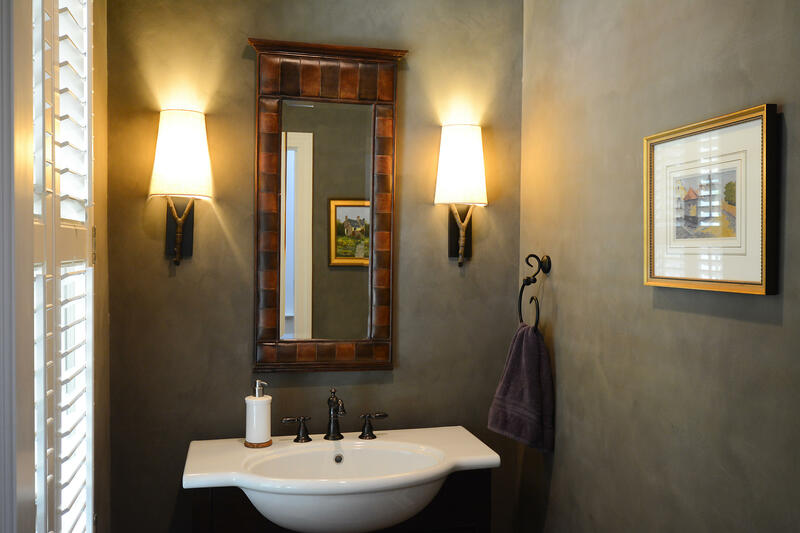 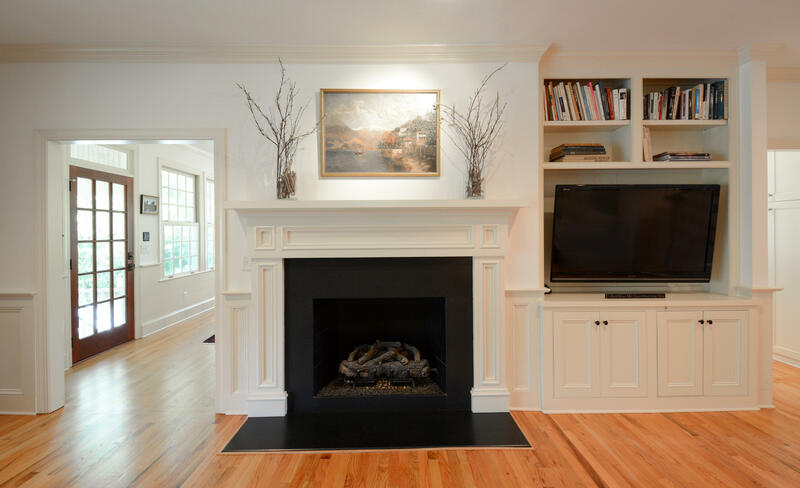 The master bedroom and bath are on the main floor separated from the kitchen and contemporary connecting dining area by a spacious family room with gas log fireplace and built in book cases and cabinetry. 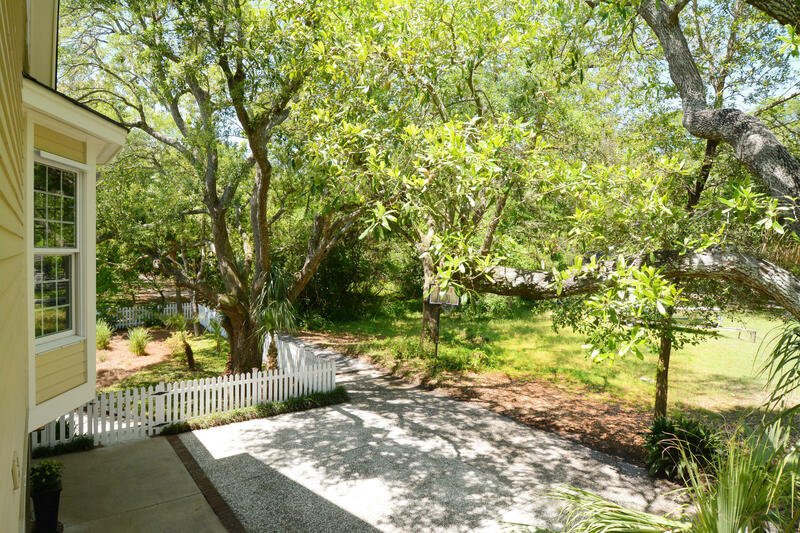 From the kitchen, dining area, screen porch, upstairs den and bedrooms one can see harbor through trees.